M2 Passive Expression Guitar Effects Pedal. Passive Voltage controller suitable for use with any device that has voltage control or expression pedal feature. Uses one TRS Stereo 1/4" cable (not included) to hook to device. Cold-rolled steel housing and two-year warranty. 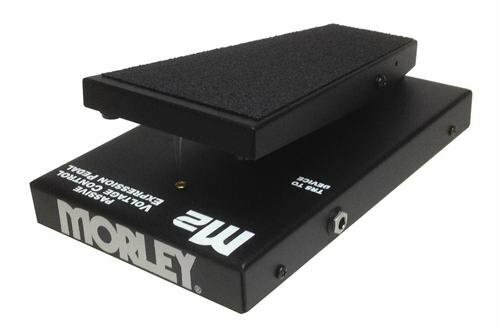 This CV pedal delivers a supply of voltage that is steady across the travel of the pedal, and features Morley's legendary wah chassis, a much smoother and more judiciously distributed response curve than most of their competition.